The world is moving very fast, demands on us are extremely high, and business pressures on profits increase in their demands of us. This fast pace presents all of us with challenges in taking control of the stress that can inhibit our abilities to do our jobs well. Here are two perspectives you might consider. They may help you minimize the stress that could be toxic to your career, your personal life, and your well-being. I firmly believe that our ability to live in the moment – to be totally present not only physically but emotionally – can have a direct impact on our ability to control the stress in our lives. If you find yourself thinking about all the things on your to do list that loom ahead of you while you are working on a project, you have diverted your full attention from that project. If you let your mind wander from the task at hand, are you fully engaged in the task or not? If you are talking on the telephone and trying to knock off a few emails during that conversation, which task are you robbing? The answer is to give the present 100% attention. Whatever you have chosen as your next task, give it your full focus. Live in the moment – be present in the present, and trust that your choice of task has you working on the right thing at the right time. Sometimes we create stress for ourselves over something we cannot change. While it seems a simple choice, this can happen to most of us. One strategy to minimize the stress in our lives is to be able to clearly understand what is in our control and what is not. When we have influence over something, we can change it. When we don’t, the only thing we can change is our attitude toward it. This is where many people add stress to their lives that’s truly unproductive and even toxic to their ability to function. Consider the last time you were in a traffic jam, risking being late for an appointment or for the start of work. Where was your head? Were you stressing about what would happen should you be late? Were you angry about the person who created the traffic jam? Were you upset because your alarm didn’t go off when it was supposed to? How can any of these reactions be a positive influence on your mental well-being? Can you change how your boss will respond upon your late arrival? No. Can you change the circumstances that created the traffic jam? No. Can you take back the time you lost because of an ill-performing alarm clock? No. In this example, the only thing that can be changed is your attitude whilst in the traffic jam. You are there, living in the moment, and you have a choice as to how you are going to respond to the current situation. Choose the stress-less state of mind. Be present in the situation and put it to your best use. Make a hands-free telephone call to a friend or parent. Listen to calming music. Jam to your favorite upbeat dance tune. Catch up on your favorite podcast. Take a deep breath. Think of things that bring you joy. Smile. 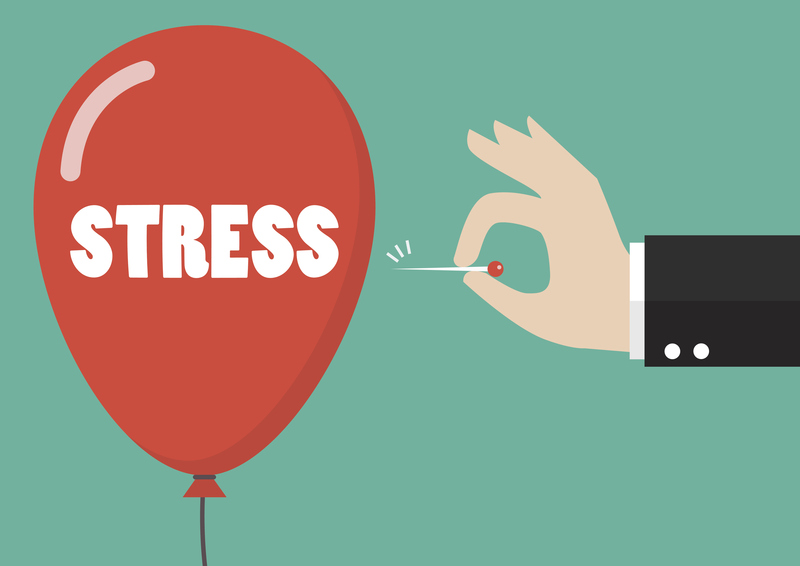 Managing stress can be a key to your success. These are just two strategies for you to consider employing. There are many others, as conquering the stress in your life can be complicated. But the two I have shared are in your control. They both require mental adjustments; adjustments to your perspective and attitude. By choosing to be present in the present, and choosing your attitude while in that present, you can go a long way from being a stress-mess to stress-less.